It is the first time that extensive tests have been carried out on an intact prehistoric mummy, consolidating the researchers' previous findings that embalming was taking place 1,500 years earlier than previously accepted. Dating from c.3700-3500 BC, the mummy has been housed in the Egyptian Museum in Turin since 1901, but unlike the majority of other prehistoric mummies in museums, it has never undergone any conservation treatments, providing a unique opportunity for accurate scientific analysis. Like its famous counterpart Gebelein Man A in the British Museum, the Turin mummy was previously assumed to have been naturally mummified by the desiccating action of the hot, dry desert sand. Using chemical analysis, the scientific team led by the Universities of York and Macquarie uncovered evidence that the mummy had in fact undergone an embalming process, with a plant oil, heated conifer resin, an aromatic plant extract and a plant gum/sugar mixed together and used to impregnate the funerary textiles in which the body was wrapped. This 'recipe' contained antibacterial agents, used in similar proportions to those employed by the Egyptian embalmers when their skill was at its peak some 2,500 years later. The study builds on the previous research from 2014 which first identified the presence of complex embalming agents in surviving fragments of linen wrappings from prehistoric bodies in now obliterated tombs at Mostagedda in Middle Egypt. The team, which includes researchers from the Universities of York, Macquarie, Oxford, Warwick, Trento and Turin, highlight the fact that the mummy came from Upper (southern) Egypt, which offers the first indication that the embalming recipe was being used over a wider geographical area at a time when the concept of a pan-Egyptian identity was supposedly still developing. Archaeological chemist and mummification expert, Dr Stephen Buckley, from the University of York's BioArCh facility, said: "Having identified very similar embalming recipes in our previous research on prehistoric burials, this latest study provides both the first evidence for the wider geographical use of these balms and the first ever unequivocal scientific evidence for the use of embalming on an intact, prehistoric Egyptian mummy. "Moreover, this preservative treatment contained antibacterial constituents in the same proportions as those used in later 'true' mummification. 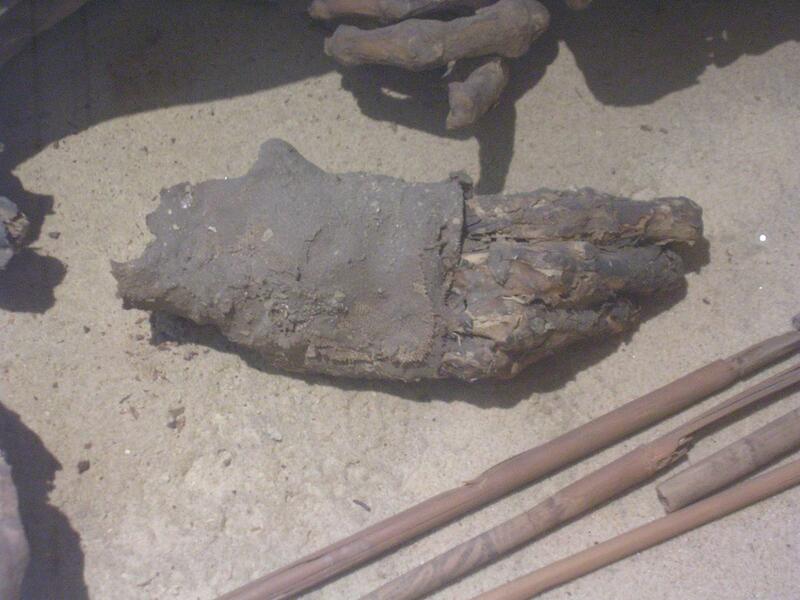 As such, our findings represent the literal embodiment of the forerunners of classic mummification, which would become one of the central and iconic pillars of ancient Egyptian culture." Dr Jana Jones, Egyptologist and expert on ancient Egyptian burial practices from Macquarie University, said: "The examination of the Turin body makes a momentous contribution to our limited knowledge of the prehistoric period and the expansion of early mummification practices as well as providing vital, new information on this particular mummy. "By combining chemical analysis with visual examination of the body, genetic investigations, radiocarbon dating and microscopic analysis of the linen wrappings, we confirmed that this ritual mummification process took place around 3600 BC on a male, aged between 20 and 30 years when he died." Professor Tom Higham, Deputy Director Oxford Radiocarbon Accelerator Unit, said: "There are very few mummies of this 'natural' type available for analysis. Our radiocarbon dating shows it dates to the early Naqada phase of Egyptian prehistory, substantially earlier than the classic Pharaonic period, and this early age offers us an unparalleled glimpse into funerary treatment before the rise of the state. "The results change significantly our understanding of the development of mummification and the use of embalming agents and demonstrate the power of interdisciplinary science in understanding the past." The study, A prehistoric Egyptian mummy: evidence for an 'embalming recipe' and the evolution of early formative funerary treatments, is published in the Journal of Archaeological Science.